This week and next is back-to-school for most U.S. children. And students in the Kansas City, Mo., and Omaha, Neb., regions will be the first in the country to be served a new concept in lower-sugar, fat-free chocolate milk thanks to innovation efforts by Hiland Dairy, Springfield, Mo. Flavored milk is an essential part of the National School Lunch Program, but parents and school administrators continue to have concerns about the amount of added sugar. Studies show that among elementary school children, milk consumption decreases 35% once flavored milk is removed as an option. U.S. milk processors are challenged with lowering sugar and maintaining taste in school milk, as federal regulations require that flavored milk sold through the National School Lunch Program (for reimbursement purposes, not ala carte) can only be sweetened with nutritive sweeteners. This challenge just got easier thanks to recent advancements in monk fruit processing, which have resulted in a new nutritive sweetener known as monk fruit juice. 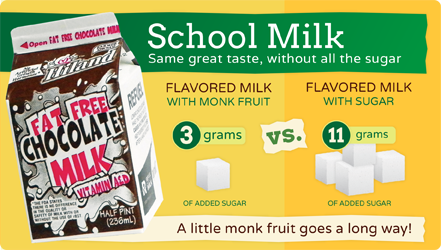 Monk fruit juice is a very low-calorie, nutritive sweetener that meets FDA’s standard of identity for sweetening flavored milk for the National School Lunch Program. It is sweeter than sugar, so less is required to deliver a kid-pleasing flavor profile. Monk fruit, also known as luo han guo (Siraitia grosvenorii), is a small, vine-grown, subtropical fruit that gets its intense sweetness from naturally occurring antioxidants called mogrosides, which are up to 300 times sweeter than sugar. Monk fruit has been consumed for generations in Asia and around the world. FDA recognized monk fruit as GRAS (Generally Recognized as Safe) for use in foods and beverages in January 2010. Currently, two ingredient forms of monk fruit are available to formulators – powdered monk fruit extract and monk fruit juice. Both products are made by crushing the fruit then infusing the crushed fruit with hot water to release its natural sweet juice. The sweet infusion is then filtered to clarify and stabilize the monk fruit juice. The end-result is a natural fruit juice, which thanks to the sweet mogrosides, is 15 times sweeter than apple juice. The monk fruit extract has a further step to separate the sweet mogrosides from the natural fruit sugars. This product is then dried and sold in powdered form. Both monk fruit extract and monk fruit juice appeal to consumers because the natural sweetness comes from fruit. One of monk fruit’s best endorsements comes from Dr. Oz. View a recent segment HERE. 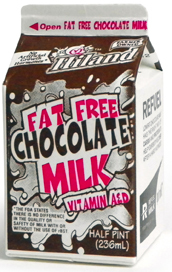 During the 2011-2012 school year, Hiland Dairy worked closely with Omaha Public Schools foodservice officials to evaluate its new monk fruit juice-sweetened fat-free chocolate milk. The new product contains just 3 grams of added sugar, for a total of 14 grams of sugar and 100 calories per 8-fluid-ounce serving. This is a noteworthy reduction in added sugar (73%) compared to its full-sugar sweetened version, which has 22 grams of sugar and 130 calories per serving. With a thumbs up from school administrators and parents, as well the very discerning consumer—the students—the new milk was completely phased into the Omaha Public Schools system in March 2013. According to Tammy Yarmon, director-nutrition services, Omaha Public Schools, “We piloted the milk on one route without making anyone aware of the change, as we wanted to see if anyone would notice a difference. Once we saw there wasn’t any reaction by our customers, we implemented the change district-wide and announced it on our menus. The new chocolate milk is the only flavored milk Hiland Dairy is offering as part of the National Lunch Program for the 2013-2014 school year. All school customers have embraced the product. Sweeteners in Flavored Milk: The Comment Period Has Ended. Now What? Early this week, the company rolled out a line of nonfat Greek yogurts that have twice the protein of the mainstream product. Flavors are: Black Cherry, Blueberry, Peach, Pineapple, Strawberry, Raspberry and Vanilla. In May 2013, the company introduced Hiland Dairy Iced Coffee. Half-gallon cartons feature three varieties: Caramel, Mocha and Vanilla Iced Coffee. Also in May, the company rolled out a line of 100% Lactose Free Milks. The five varieties are: Vitamin D Whole, 2% Reduced Fat, Vanilla Almond Fat Free, Fat Free and Fat Free Extra. The latter has the rich, creamy taste of 2% without the saturated fat. All are available in half-gallon gabletop cartons with a convenient twist-cap pour spout. Gluten-Free Dairy Foods: Claim It If You Can! 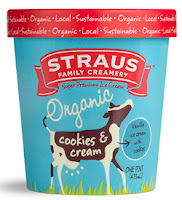 Inherently free of gluten, cows milk and most products made from cows milk, are gluten free. The only way any dairy food contains gluten is if it is added via an ingredient. The August 5, 2013, final ruling by FDA defining the claim “gluten free” makes it simple for dairy foods marketers to label their products with this very powerful descriptor, providing the product complies with the definition. Read the final ruling HERE. According to the final rule, products that contain less than 20 parts per million of gluten may make a gluten-free claim. This claim applies to products that naturally contain no gluten, including many dairy products, and to products that contain ingredients that have been processed to remove the gluten. FDA’s ruling on this definition is significant, because unlike other foods and food ingredients that require disclosure by the Food Allergen Labeling and Consumer Protection Act (FALCPA), gluten is not an allergen. Rather, it is a protein that many have a real or perceived intolerance to. For some—those with celiac disease—this intolerance is life threatening. This most likely was a contributing factor to FALCPA mandating FDA to define the claim of gluten free. Use of a gluten-free claim is voluntary, unlike mandatory disclosure of major allergens, one of which is wheat, the primary source of gluten. But interestingly, FDA has never defined “lactose free,” possibly because intolerance—real or perceived--to this inherent sugar in cows milk is not life threatening. ‘Lactose free’ is not a defined nutrient content claim and is not included in the definition for ‘sugar free’ claims. It is considered a claim to facilitate avoidance and must be truthful and not misleading. Since there is no defined level in order to qualify for lactose free, anyone making the claim must make a truthful statement. Therefore, it needs to have some sort of substantiation to support the truthfulness of the claim. One way to do this would be analytical test results that show no detectable levels of lactose in the finished product. Milk, yogurt, cheese and ice cream processors should consider using the new gluten-free labeling claim, as many dairy products are gluten free. Consumers are also seeking information about some cheeses being gluten free, as traditionally blue cheese cultures were grown on wheat substrates that could sometime contain traces of gluten. 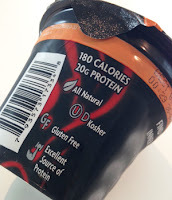 Gluten-free labeling is a great opportunity to showcase a benefit of dairy goodness and notion. FDA’s final rule on gluten-free claims is somewhat different than what was first proposed in January 2007. IDFA explains that one difference between the final rule and the proposed rule is that foods inherently gluten free can make a gluten-free claim just like other foods that are specially processed to remove gluten. In the proposed rule, foods that are naturally gluten free, such as milk, would have been required to show an alternate claim, such as “a gluten-free food,” to emphasize that all products of the type were naturally free of gluten. This change came after comments to the proposed rule indicated that even products that are naturally gluten free could be available in various formulations, such as different flavors, some of which may contain gluten. Thus, a single gluten-free claim is easier for consumers to understand, allowing less chance for confusion about which foods are naturally gluten free. The requirements for a gluten-free claim also apply to the claims “no gluten,” “free of gluten” and “without gluten.” The final rule preempts all state or local regulations regarding these specific gluten claims, but it does not necessarily preempt any additional gluten statements. FDA declined to define levels for “low gluten” or “very low gluten” claims or to set a single symbol to designate gluten-free foods. The compliance date for the final rule is August 5, 2014. All companies with gluten-free claims on their product labels should ensure that the claims are in line with the requirements of the final rule by this date. According to market research firm Packaged Facts, the market for gluten-free foods and beverages continues to grow even faster than ever anticipated. The category reached $4.2 billion in 2012, reflecting a compound annual growth rate of 28% from 2008 to 2012. And, a 2012 Packaged Facts consumer survey showed that 18% of adults were buying or consuming foods tagged as gluten-free, up from 15% in 2010. Research further shows that the share of gluten-free consumers who are buying more of these foods has skyrocketed, and the share of total shoppers who are buying more gluten-free foods has doubled. Gluten-free foods are necessary for those who suffer from the autoimmune disease known as celiac disease. However, the conviction that gluten-free products are generally healthier appears to be the top motivation for consumers of these products, according to Packaged Facts. Increasing diagnoses of celiac disease and food allergies; growing awareness of these ailments among patients, healthcare practitioners and the general public; the availability of more products, and better ones, across a range of product categories; and a trend that has friends and family members eating gluten free to support loved ones are among the factors stimulating continuing expansion in this market, according to Packaged Facts. While growth rates will moderate over the next five years in the wake of market expansion, Packaged Facts projects that U.S. sales of gluten-free foods and beverages will exceed $6.6 billion by 2017. Market research firm The Hartman Group recently published a comprehensive article on the gluten-free market. It can be viewed HERE. Gluten is a protein found in all forms of wheat as well as other select grains. Gluten has long been appreciated by bakers for its ability to retain leavening gases and provide structure in bakery products. The problem is that gluten can cause an immunologically toxic reaction in humans who have celiac disease. In such individuals, the body’s response to ingested gluten damages the mucosal surface of the small intestine. This, in turn, interferes with the absorption of nutrients, and in some cases, water and bile salts. If left untreated, damage to the small bowel can be chronic and life threatening, causing an increased risk of associated disorders—both nutritional and immune related. Often when food scientists think of avoiding gluten in a product formulation, they think wheat flour only. However, there are many hidden sources of gluten in the food ingredients business, and even the slightest amount in a food product wreaks havoc on a celiac. The only treatment for the disease is lifelong adherence to a gluten-free diet. When gluten is removed from the diet, the small intestine starts to heal and overall health improves. Formulators must be especially leery of these potential hidden sources of gluten: caramel color, flavors (natural and artificial), unidentified starch, modified food starch, hydrolyzed vegetable protein, hydrolyzed plant protein, texturized vegetable protein, malt, soy sauce, maltodextrin, spices, seasonings, and the many ingredients classified as binders, fillers and extenders. 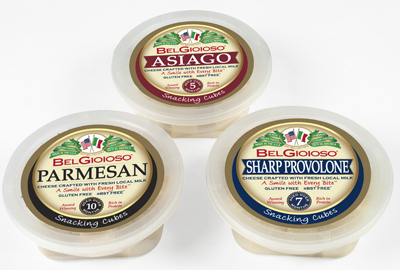 BelGioioso now offers snacking cubes in three varieties: Asiago, Parmesan and Sharp Provolone. These pre-cubed pieces are perfect for snacking. Made from whole cows milk, the cheeses are inherently gluten free and state so on package labels. 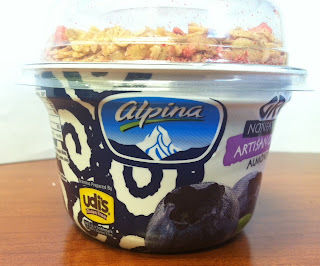 Alpina Foods’ recently renamed its Alpina Revive Greek yogurt to Alpina Greek with Artisan Granolas. The yogurts come packaged with certified gluten-free granola mix-ins that were created by a health and wellness chef and are prepared by Udi’s Gluten Free, a leading manufacturer of gluten-free grain-based foods. 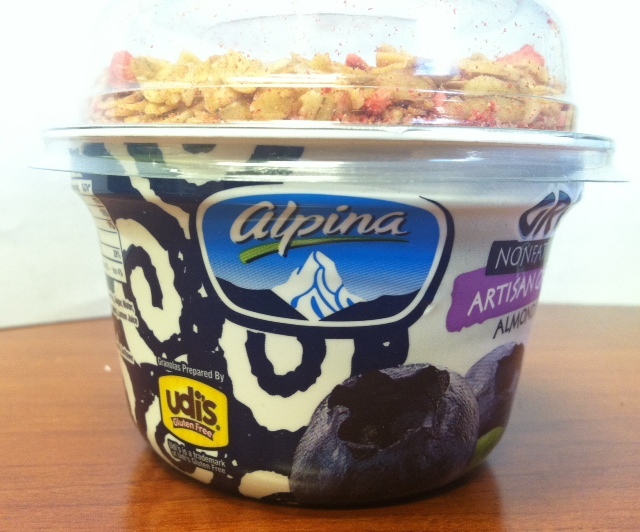 Alpina Greek with Artisan Granolas comes in seven flavors: Blueberry with Almond Berry Granola, Strawberry with Almond Berry Granola, Vanilla Bean with Chai Spices Granola, Honey with Chai Spices Granola, Mango with Tropical Chia Granola, Peach with Tropical Chia Granola and Plain with Superfoods Granola. Powerful Yogurt, the first-ever Greek yogurt designed for men, was recently named Best Yogurt of 2013 by FoodBev’s Dairy Innovation Awards program. In addition to its high-protein content and that its serving size is 50% larger than the average U.S. yogurt presentation, Powerful Yogurt is free of fat, gluten and GMOs. In the freezer, Superpremium Figo! Organic Gelato touts the fact that it is free of gluten. 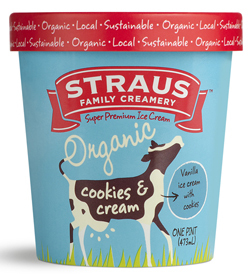 Strauss Family Creamery recently introduced the first and only certified-organic, gluten-free Cookies & Cream ice cream. 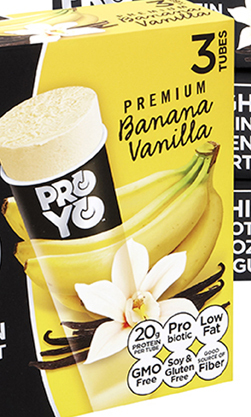 ProYo Frozen Yogurt squeeze tubes boldly state the absence of gluten on cartons. Remember what Cary Frye says: Milk, yogurt, cheese and ice cream processors should consider using the new gluten-free labeling claim. Gluten-free labeling is a great opportunity to showcase a benefit of dairy goodness and notion. 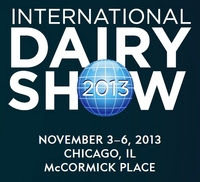 It’s less than three months until The International Dairy Show takes place in Chicago, my home town. And do I have a show planned for you! The Daily Dose of Dairy will be live—every day--from the show floor at the iDairyShow Theater. If you cannot attend a session, need not fear, each session’s sponsor is making it possible for the slide show to be available on BerryOnDairy.com for later viewing. Each presentation will feature 10 to 20 of the most innovative products in a specific dairy products category, including products never before featured as a Daily Dose of Dairy. Each day will be a different product category. Sessions will end with a Q&A. You also will not want to miss the keynote presentation: Insights on America’s Eating Patterns. Wouldn’t knowing statistics and trends on the eating and drinking patterns of Americans help you make significant strategic decisions in the coming year? 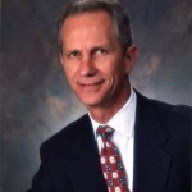 Featured speaker, Harry Balzer, vice president of The NPD Group and an expert in food consulting and eating behavior, will share his knowledge. He has been following the eating and drinking patterns of Americans for 35 years and is the author of The NPD Group’s Annual Report on Eating Patterns in America, which is used by food industry leaders to make smarter business decisions and gain fact-based insight. Balzer is widely known within the industry as a main source for unbiased market information. The Collegiate Dairy Products Evaluation Contest 2013 will be held November 3 to 4, in conjunction with the International Dairy Show. This unique two-day contest will bring the brightest and best dairy food technology students from around the country for a competition testing the quality of their sensory skills and a chance to network with industry personnel across the food, dairy and beverage industry. Holding the contest with the International Dairy Show offers the blending of the most knowledgeable college students with real industry challenges, making for an excellent learning experience. After the two-day contest, the judging area will be transformed into a lounge for contest sponsors and alumni. This year, the Collegiate Dairy Products Evaluation Contest Board of Directors will offer travel stipends to all teams in the contest. To learn more about this unique competition, or to enter the contest, visit HERE. “Berries over Bugs” was the headline of a July 24th press release from The Center for Science in the Public Interest (CSPI, a.k.a., the food police). Being a Berry, of course I fully endorse “choosing berries over bugs” any day! But seriously, CSPI issued this press release a week after the closing of the 2013 Institute of Food Technologists (IFT) Annual Meeting + Food Expo, where a whopping 97 ingredient suppliers were listed in the directory under the “Colors, Natural” category. But as we all know, not all natural colors are equal. (In case you missed my review of innovative ingredient technologies for dairy product formulators, which includes a section on the fact that “natural colors were the buzz” at IFT, you can view it HERE. In general, artificial colorings are manufactured from petroleum-based raw materials. Colors exempt from certification, commonly referred to as natural colors, are obtained from a variety of sources, including plants, minerals, insects and fermentation, resources considered by many to be natural. It is this generalization that has some color suppliers creating a point of differentiation by touting the fact that their natural colors are derived solely from food, and most often, directly from fruits and vegetables. This is because carmine--a dye extracted from the dried, pulverized bodies of cochineal insects—is an exempt-from-certification color and continues to be controversial in terms of its naturalness. CSPI’s recent press release is urging global yogurt giant Dannon to choose berries over bugs, that is, in terms of a colorant for a number of its yogurt products. Dannon uses carmine to give several varieties of fruit-flavored yogurt their pink color. The nonprofit food watchdog group says that Dannon’s practice cheats consumers who might expect that the named fruits—and not the unnamed creepy crawlies—are providing the color. Carmine also puts some consumers at risk of serious allergic reactions if they don’t read the ingredient statement carefully. 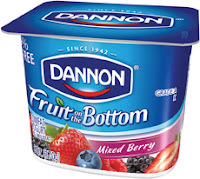 Strawberry, Cherry, Boysenberry and Raspberry varieties of Dannon’s “Fruit on the Bottom” line all contain carmine, as does the Strawberry flavor of Dannon’s Oikos brand of Greek yogurt. Two flavors of Dannon’s Light and Fit Greek use the extract, as do six of its Activia yogurts. With all due respect to my fellow food scientists at Dannon, I am sure use of carmine is under careful consideration. After all, Dannon does use only natural colorings, such as purple carrot juice, in its Danimals line of yogurts marketed to children. CSPI is sponsoring an online petition urging Franck Riboud, CEO of Dannon’s parent company Groupe Danone, to replace carmine with more of the fruit advertised on the label. The petition can be viewed HERE. CSPI originally took interest in carmine a number of years ago because of the fact that some consumers experience serious allergic reactions when they consume this exempt-from-certification colorant. 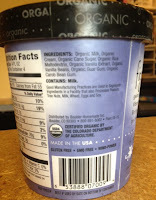 In response to a CSPI petition on this issue, the FDA now requires carmine to be listed on food labels when it is used. Read more HERE. Read FDA’s final rule HERE. Previously companies could obscure the presence of the insect extract by labeling it “artificial color.” CSPI had urged FDA to go further and describe carmine as “insect-derived,” making it easier for vegetarians, those who keep kosher, or anyone otherwise averse to eating such ingredients to avoid it. The food police are reading the fine print, so are many consumers. 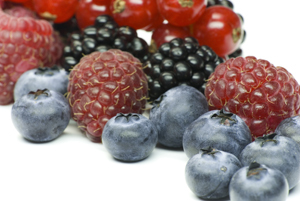 With at least 97 ingredient suppliers marketing natural colors, consider choosing berries over bugs whenever possible. Here are two new products that rely only on colors derived from fruits and vegetables. Wallaby Organic Lowfat Kefir comes in four different flavors: Blueberry, Strawberry, Vanilla and a traditional Plain. It comes in family-friendly, multi-serve 32-ounce plastic bottles with a suggested retail price of $4.29. The ingredient statement of the strawberry variety reads: Organic Cultured Pasteurized Lowfat Milk, Organic Strawberries, Organic Cane Sugar, Natural Flavors, Organic Locust Bean Gum, Pectin, Fruit and Vegetable Juice for Color. New Kemps Greek Yogurt comes in four varieties--Black Cherry, Raspberry, Strawberry and Vanilla—and is sold in 5.3-ounce cups. The ingredient statement of the Black Cherry and Strawberry varieties indicates that vegetable juice concentrate is used for color. The Raspberry variety gets enough color from the use of high-quality raspberries and raspberry puree. The term color additive is legally defined in Title 21, Part 70 of the Code of Federal Regulations (21 CFR 70). Basically, any ingredient with the sole purpose of adding color to a food or beverage is a color additive, with all color additives requiring approval by FDA as a food additive. In the U.S., synthetic food colors are classified by FDA as color additives subject to certification (21 CFR 74). They are certified with an FD&C number. This indicates that the additive has been tested for safety and is approved for used in foods, drugs and cosmetics, or FD&C. Seven colors were initially approved under the Pure Food and Drug Act of 1906. Over time, several have been delisted and replaced. Today there are still seven, which can be combined into an infinite number of colors; hence, the seven are considered primary colors. The seven synthetics are further classified as standardized dyes or lakes. Dyes are a concentrated source of color and are water soluble and oil insoluble. Lakes, on the other hand, are made by combining dyes with salts to make them water-insoluble compounds. Thus, they are best described as providing color by dispersion. Lakes are considered to be more stable than dyes and are ideal for coloring products that either contain fat or lack sufficient moisture to dissolve dyes.